I was introduced to Drive Thru History® last year and instantly fell in love the adventures featuring Dave Stotts. 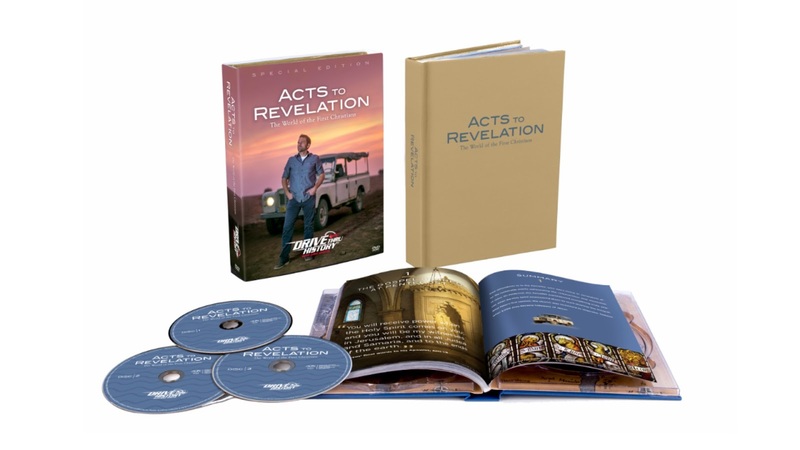 When we had the opportunity to review the new adventure series, I couldn't wait to watch and review Drive Thru History® "Acts to Revelation." This series was no disappointment and only carried forward my enthusiasm for such a remarkable account of all the Book of Acts to the Book of Revelations. The DVD series, 18 30-minute episodes, has a general age range of 6th grade to adult but I honestly think that younger students would be interested. For us, it wasn't just a time to sit and learn a lesson, we utilized it as family entertainment. It covers a broad range of subjects from art, history, geography, Biblical studies, of course, and so much more! 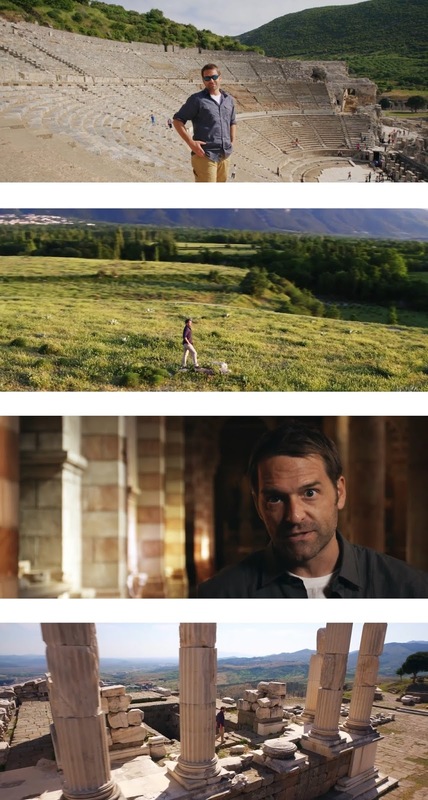 It made us want to go see every location that Dave visited. He has a keen ability to present each topic with a combination of seriousness while livening it up with humor as he's a natural. As a bonus, the beautifully created DVD set includes an equally lovely study guide keeping everything in one area making it easy for using the study guide to teach or to peruse and learn for one's own entertainment. A Summary that provides the summary of the episode. A Discussion section that comprises a small series of questions that will test and reinforce what the student has learned. For example, discussion 11 only had five questions. Side Roads provided additional information about the episodes person, places or time period. Answers to each episode's discussions can be found towards the end. Beautiful photographs are mixed into every page making it a must see and definite asset to the program. As we continued to watch each episode, I remained in awe over how each one was made in such a beautiful way. 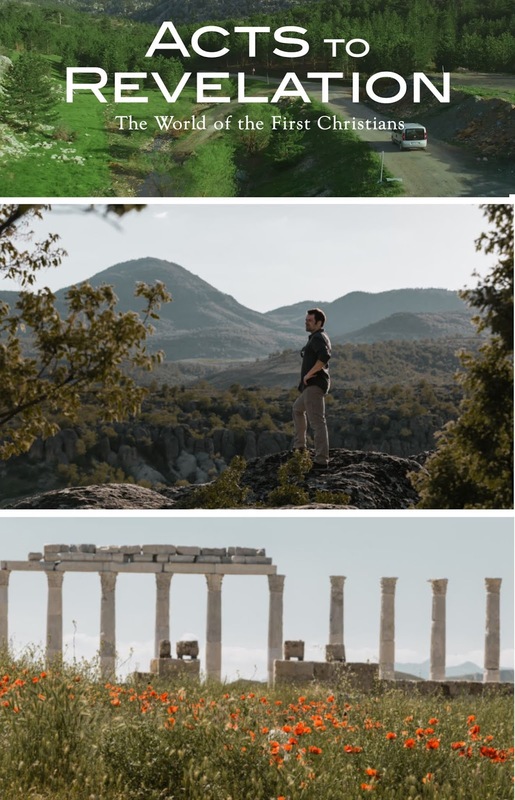 The re-enactments were extremely professional and each episode that covers the roadmap of the path early Christians took, was chalk full of facts of pertinent events, locations and the time period. I think this is a series worthy of watching over and over due to the amount of knowledge to be learned. Dave has a mannerism of speaking at just the right speed to fully absorb all the details he's presenting while not being dull or boring. He's very engaging and entertaining and reminds me of one of my best professors I had in college. The parts where Dave shows what cities might have looked like in the specific time period was fascinating. Dave references where in the Bible the specific details come from was an asset to help reinforce readings from the Bible. If you are a fan of Dave and Drive Thru History®, you will know how he likes to drive cool vehicles as he begins his journey. In one of the episodes, he has a beautiful horse and carriage much to the delight of my children. It's always interesting to see what he will end up in next! Dave does another great job in linking events from the Bible to archaeological and historical events that help prove Biblical accounts. He also touches on a lot of Latin words which is timely since we are learning Latin now. Each episode begins with a general statement and completes it by stating, "But there is no substitute for reading the Scripture yourself." "I like that he's funny and the episodes were short. 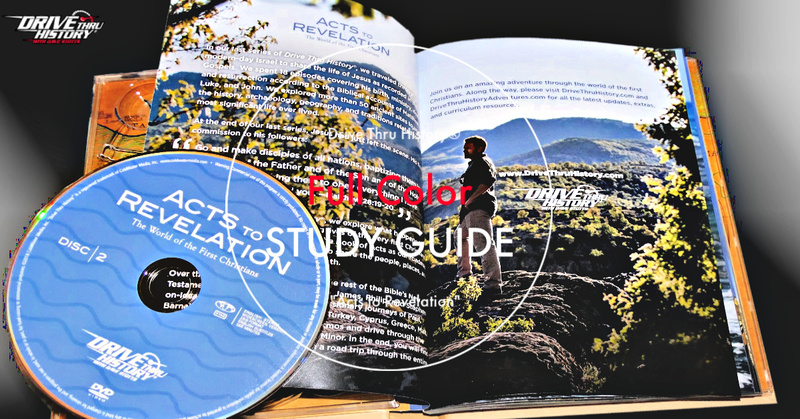 I liked that I was able to learn more about the Bible and how they suggested which part of the Bible I should read." 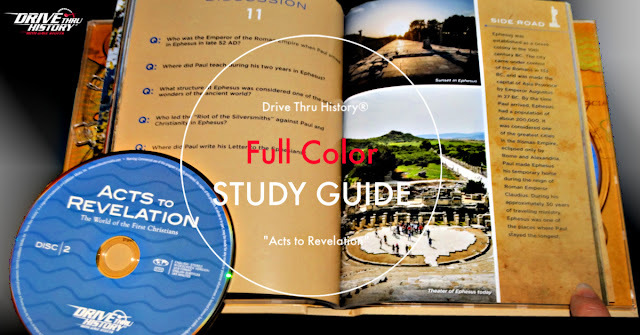 Overall, we loved Drive Thru History® "Acts to Revelation" and recommend it to anyone homeschooling or wanting to learn more themselves. I also think it would be a great asset to public and private schools given the breadth of subjects covered and how captivating the entire series is. It's yet another win! Follow Drive Thru History® on Facebook, Instagram and YouTube.